Cormac O Caoimh is due to release his 4th solo album “Shiny Silvery Things” April 28th 2017. It will be preceded by the first single , track 1, “SECOND HAND CLOTHES” due out March 3rd. His intimate vocals and exquisite guitar playing attracts the attention of musicians and music lovers alike Following on from its predecessor “The Moon Loses Its Memory” which received great reviews in Mojo Magazine (the biggest selling music mag in the world - no less) and countless more and support from radio and tv stations in Ireland and UK, Cormac spent much of 2015 and 2016 writing and recording the latest in a growing collection of critically acclaimed and varied songs. The debut “Start A Spark”, released in 2007, mixed “ pop sensibility with finely tuned song writing wrapping it all up in his soft melodic confidence and sharp lyrical commentary” (Hot Press) and contained“an assortment of delicious summer-kissed pop songs with instantly catchy, agreeable melodies infused with Cormac’s poetic sensibility”. And although many reviewers marked the album and Cormac himself to be “the next big export from Ireland” it didn’t happen. So what did he do next…he wrote and recorded what he assumed was a way less commercial sounding album, that would be even be more less likely to succeed, just because he wanted to. and a water color painting” were some of the lovely and many descriptive phrases uses in fantastic reviews for the album. 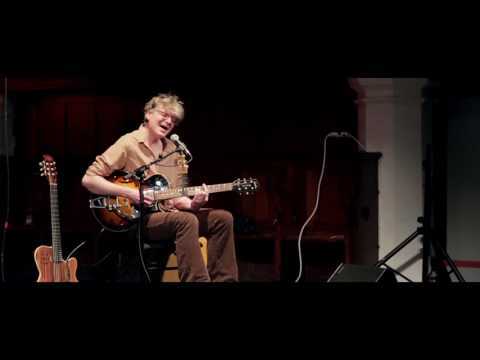 Cormac’s live gigs (at the time) matched the quietness of the album and the entire set was made up of quiet fingerpicking songs. 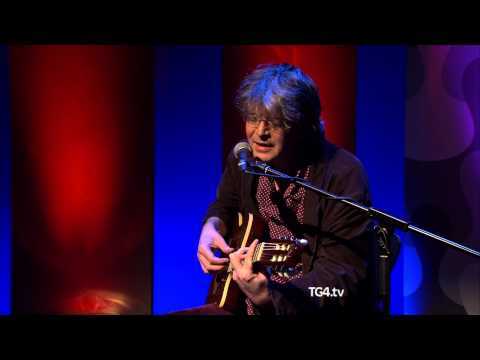 After a year or two of gigs and festivals and only writing and playing quiet songs Cormac went back into writing mode and continuing with his impressive fingerstyle playing but started writing faster and (more difficult) songs with strange time signatures and changes exploring darker moods and melodies that ended up being on the next cd. “The Moon Loses Its Memory” was released July 2014 and received excellent reviews in MOJO MAGAZINE, The Sunday Times, The Daily Star, Hot Press, The Ticket and many many more. 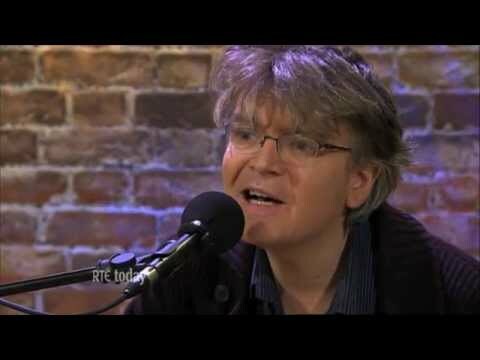 He did live sessions and interviews on RTE Radio 1, NEwstalk, KCLR, RTE and TG4 television to name but a few and all 14 songs of the cd received airplay on national stations in the UK and Ireland and across Europe.. And on the success of this new cd (and growing appreciation for his unique guitar style) he also received endorsement deals with Godin Guitars, Schertler acoustic amps and Logjam stompers. Mojo described the songs as “Acoustic gems” in “an enveloping setting” where each one “superglues to the memory”. “Effortlessly charming”, “a tour de force”, “a versatile masterpiece”, “intriguingly beautiful” were just some of many other great reviews the cd received. The Daily Star were the first of many to label him a class “indie folky poppy jazz” act. The Sunday Times and Hot Press continued with their praise and a career long comparison to Prefab Sprout, Lloyd Cole and Elvis Costello. But this time it wasn’t just the critics appreciating the music. The music spread further to audiences in Ireland, UK and the rest of the world. 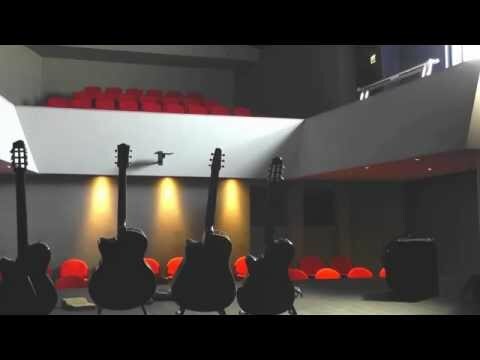 Cd sales and radio support were bigger than ever and audiences at the gigs grew culminating in a magic gig in Triskel Christchurch in 2015 (Cormac’s biggest headline gig to date). By this time Cormac was playing gigs with Martin Leahy (drums and bass) and the set (he has a lot to choose from) changes and varies each night depending on mood or audience dipping in and out of songs from all albums (or older songs not on any, or newer songs not yet recorded). This new setlist mixing fast songs and slow songs, strummed songs and fingerstyle songs, fictional songs and personal songs influenced the sound and feel of the new album “Shiny Silvery Things”.